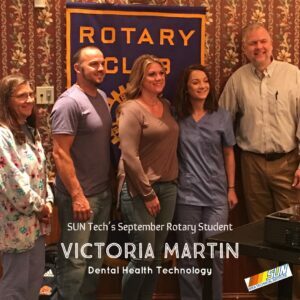 You are here: Home / Blog / News / Student of the Month / SUN Tech’s September Rotary Student! Be A Substitute Teacher- SUN Tech is in need of day-to-day substitute teachers! 2018 SUN ATI Welding Alum Competes for World Skills Enroll Today: Dates Available in October for CDL Classes!